5-Minute Stories – See it come together! If you’re a parent, you know sometimes by the time your kid is ready for bed, you’re ready to crash, too. AND they want a story. AND you can’t read this one EVERY night. If you’re like me, most of the time you love reading to your child – it’s been one of my favourite things about being a mom and now that my daughter’s 7.5 I can see it’s helped her grow into an enthusiastic dedicated reader, which is awesome… but when I’m the one doing the reading TO her, sometimes it’s nice to have a quick go-to 5-minute story. Which is why my lovely U.K. client Miles Kelly’s series of 5- and 10-minute story anthologies are so handy-dandy to have on the bookshelf. It was fun and VERY challenging to create this intricate book cover illustration. It had to form a distinct number 5, all made up of images from a long list of fairy and traditional tales. Pulling it all together was a tricky puzzle, so I made a wee stop motion video to show the process. Complete with reluctant piggy! 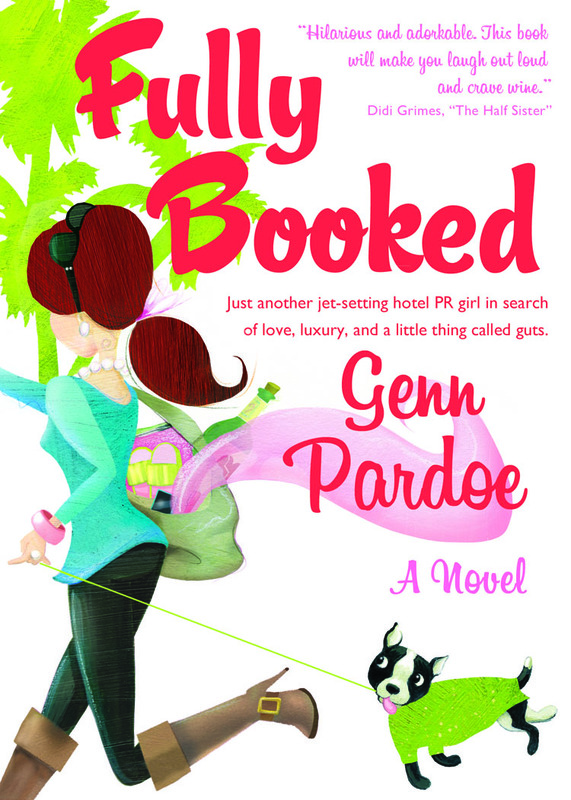 Fully Booked by Genn Pardoe now available! My fabulous friend Genn Pardoe just published her first novel, Fully Booked (available here) – and I illustrated and designed the cover! So proud of Genny for getting it DONE!! It’s a fun read AND (bonus!) Genn is donating 10% of sales to two not-for-profit organizations associated with therapy dogs. The first is in support of pups who proudly serve Canadian veterans and the second supports Massuchusetts SPCA.